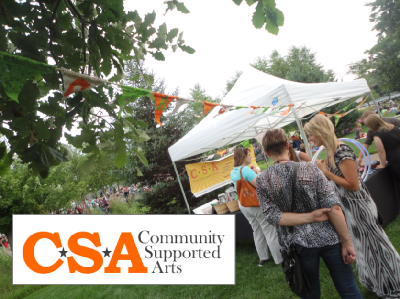 Over the last 20 years, Community Supported Agriculture (CSA) has become a popular way for consumers to buy seasonal food directly from local farms. 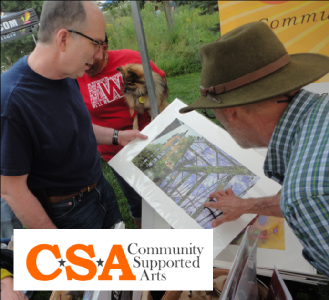 With the same buy-local spirit in mind, Community Supported Art is a similar endeavor to support local art, artists and collectors. 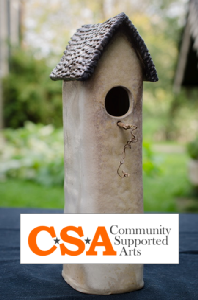 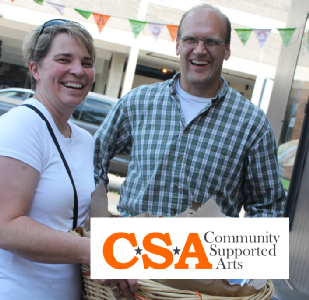 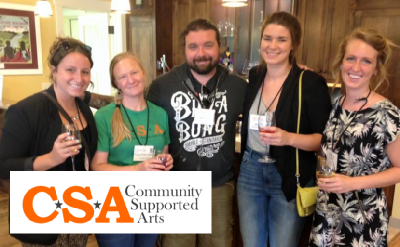 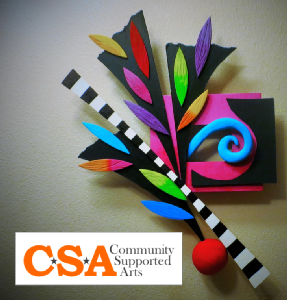 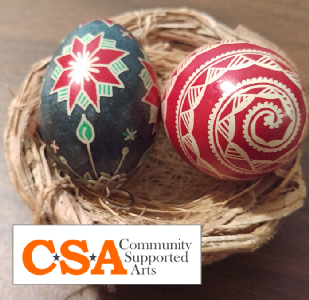 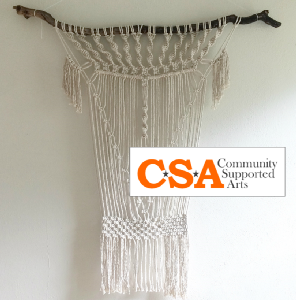 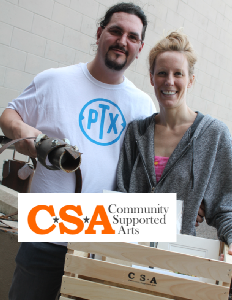 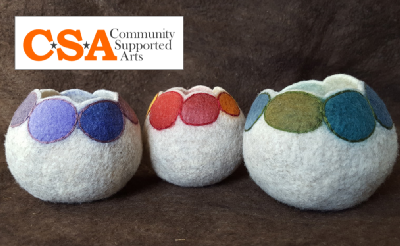 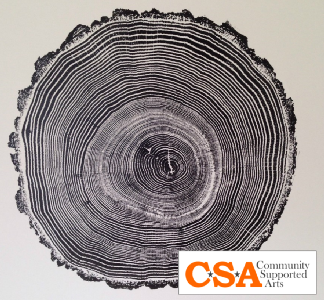 Our local CSA program is modeled on Community Supported Art project created by Springboard for the Arts and mnartists.org in Minnesota. 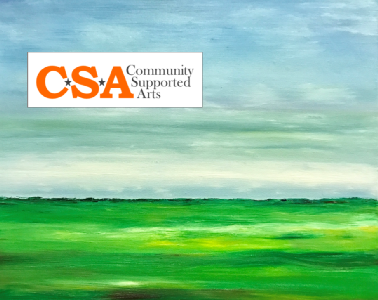 Nine artists will be selected from a jury of local art luminaries to receive a stipend, foster great connections to local collectors, and promotional support. 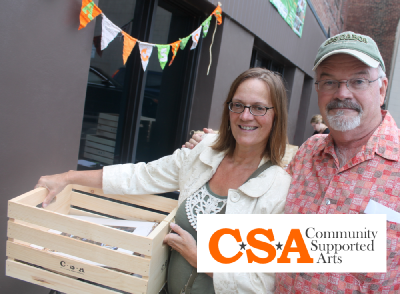 Interested consumers/collectors will purchase a share (aka a “membership” or a “subscription”) and in return receive three “farm boxes” of locally produced artwork at intervals this season. 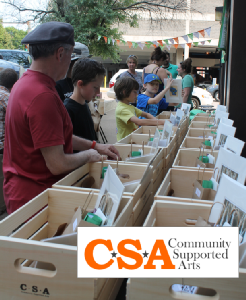 Three of the nine artists will be featured at each pick up event in which we will distribute the highlighted artist's shares. 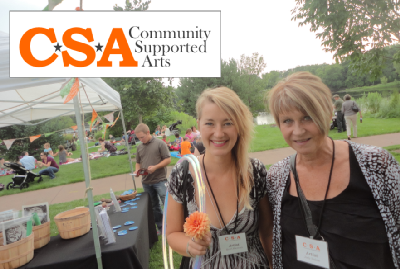 The pick-up evenings will be at local art sites and will feature music, food and entertainment. 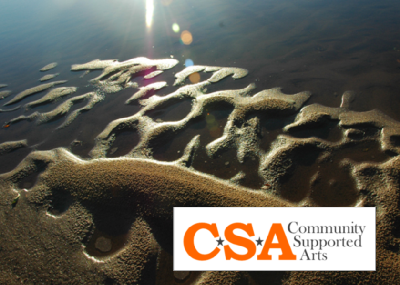 -Participate in an exciting new model of art support and distribution! 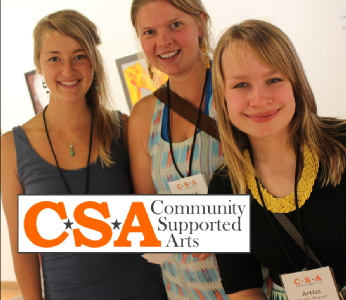 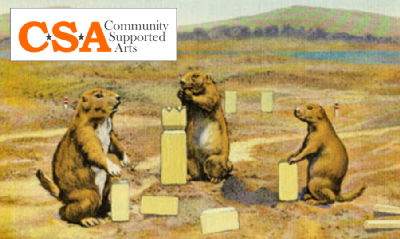 -Receive multiple works from local emerging and mid-career artists at a fantastic value!